Nevada is the gambling and entertainment capital of the United States and has more than 214,000 restaurant and food service jobs. An additional 27,700 jobs are projected by 2026. Revenue is expected to top $6.9 billion this year, making the industry a major player in Nevada’s overall economy. With the expected growth and increase in sales, the demand for culinary professionals is on the increase. Now is a great time to earn your degree or credential in culinary arts to get your foot in the door or advance in this exciting industry. Nevada has several culinary schools that are prepared to meet the increase in demand for educated culinary professionals. We created a list of the top 5 best culinary schools in Nevada. Schools that made our list offer professional development opportunities, hands-on programs, a wide variety of coursework, and personalized instruction. We make note of programs accredited by the American Culinary Federation, an indicator of academic rigor. The University of Nevada, Las Vegas features a Culinary Arts Management Major in the William F. Harrah College of Hotel Administration. Students can complete cooking courses at the College of Southern Nevada using their state-of-the-art culinary lab. This top culinary school offers coursework that will prepare students for entry level management positions with the ability to move up to general management roles in the future. Special events such as the Chef Artist Dinner Series allow students to work with celebrity chefs to prepare and serve four courses meals. The Capstone Café is another way students learn valuable work experience. The student run café serves lunch and dinner mid week and is open during the school year. The Culinary Academy of Las Vegas is a top culinary school that provides culinary training with the goal of reducing poverty and unemployment. The program provides training in 12 different job classifications including baker’s helper, fountain worker, professional cook, wine server, and bar apprentice. Classes feature a low faculty/student ratio and faculty have extensive experience in their area of instruction. Students gain hands-on experience in a culinary lab and by working banquet events. Internship opportunities are available to recent graduates. Truckee Meadows Community College in Reno is a top culinary school offering both an AAS in Culinary Arts and a Certificate of Achievement. Students can complete the AAS program in two years by attending full time, and the Certificate in just one year. Course schedules are arranged so students can work while attending school. Courses cover areas such as garde manager, American regional cuisine, buffet catering, International cuisine, and saucier. Both the Certificate and AAS degree program allow students the opportunity to complete a culinary arts work experience. TMCC is accredited by the American Culinary Federation, an indicator of program quality. The International Culinary School at the Art Institute of Las Vegas offers an exciting culinary program with a variety of degree and diploma opportunities to prepare students for a successful career in the culinary arts. Students have the opportunity to learn in state of the art kitchen facilities and are taught by some of the best instructors in the country. The Art Institute of Las Vegas gets students engaged in the community through fund raisers, benefit dinners, and television appearances. Students have the opportunity to participate in international travel to learn about different cuisines and cultures. Graduates are prepared for entry level positions in the industry and have the foundation to move up the career ladder quickly. 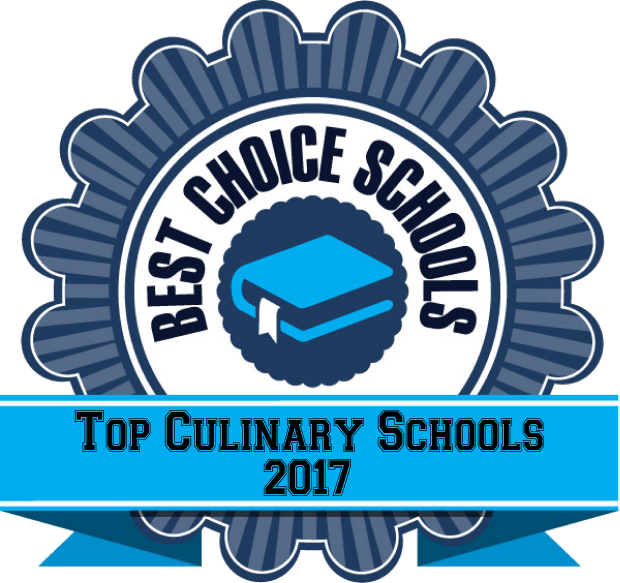 The College of Southern Nevada is a top culinary school offering an AAS degree in Culinary Arts, Food and Beverage Management, and Pastry Arts. The program is accredited by the American Culinary Federation and the Accreditation Commission for Programs in Hospitality Administration. Students benefit from one-on-one attention in the classroom and lab. Students have the opportunity for hands-on learning in a state-of-the-art kitchen environment. The on-campus, student-run Russell’s Restaurant gives students the chance to apply their skills in a real work setting. Students who want to continue their education can transfer their AAS degree to UNLV.